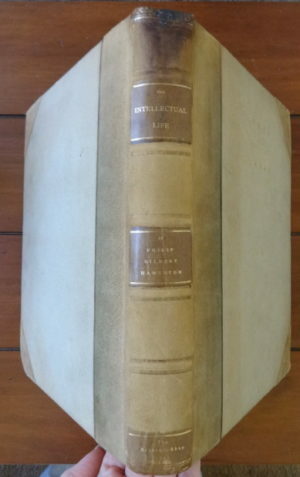 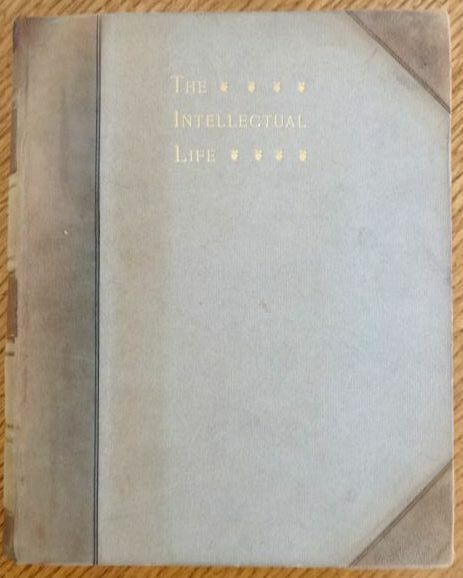 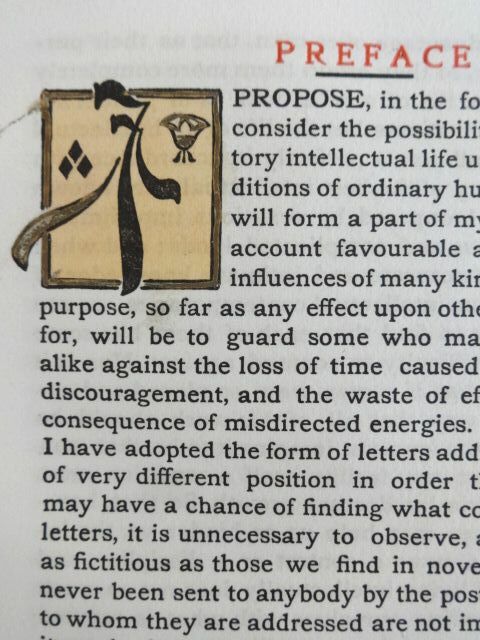 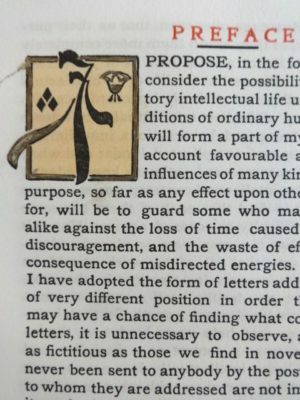 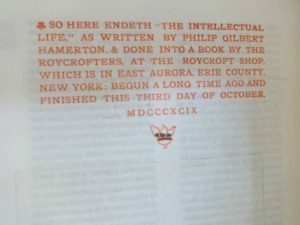 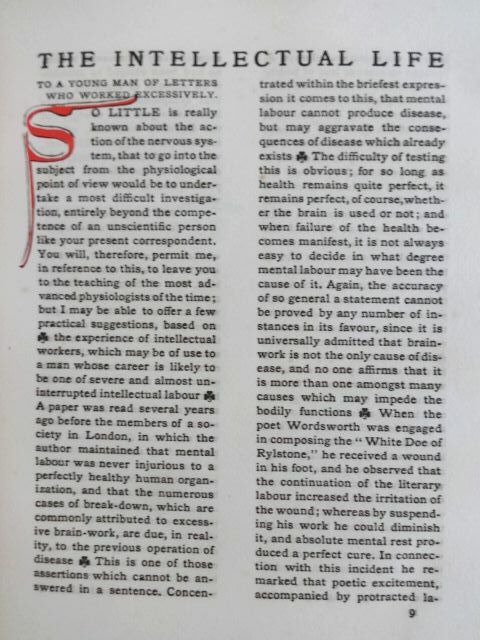 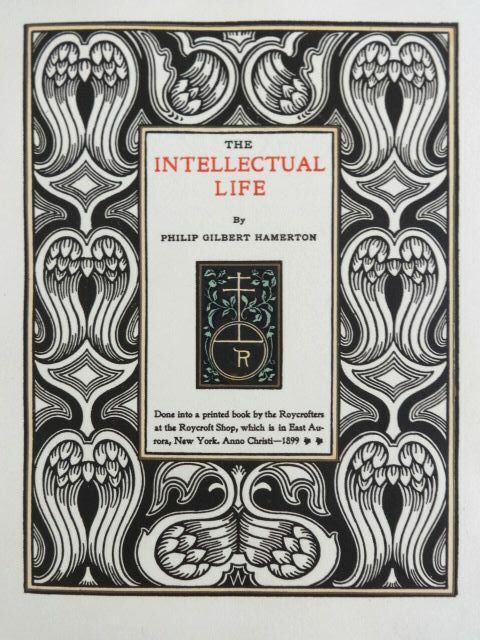 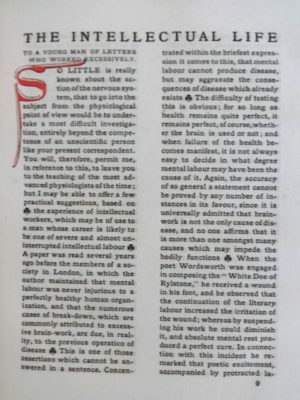 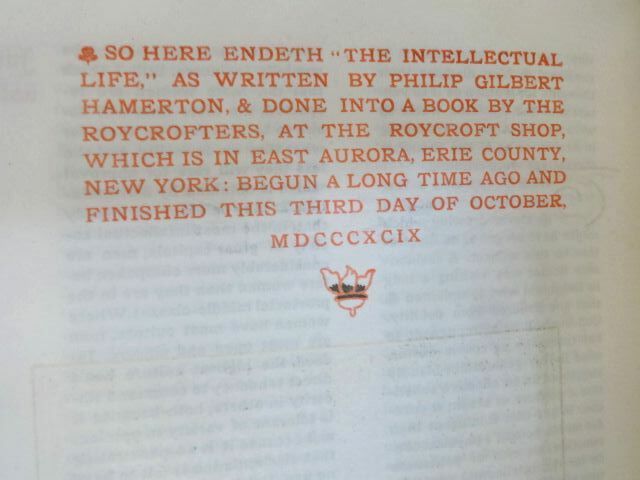 Here is a Roycroft title: The Intellectual Life by Philip Gilbert Hamerton; book published in 1899 by the Roycrofters. 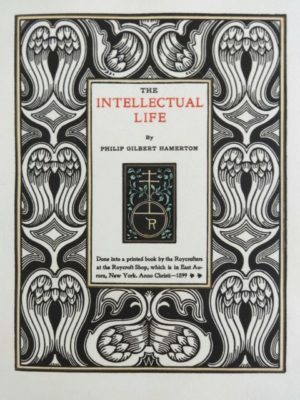 With a gorgeous decorated title page by Samuel Warner and many, many leading initials designed by Wizard of Oz illustrator W W Denslow. 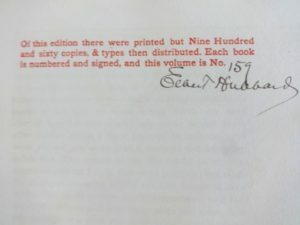 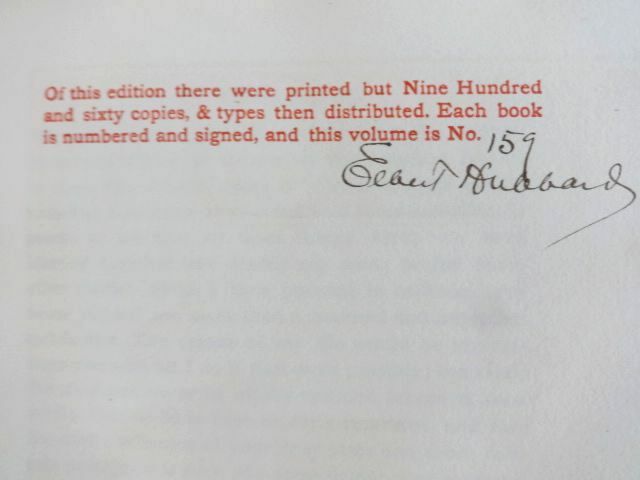 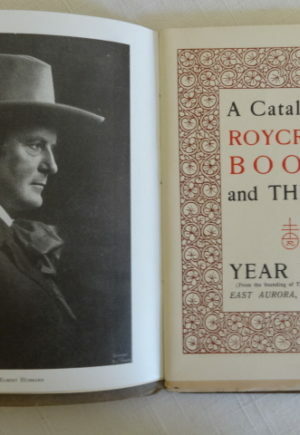 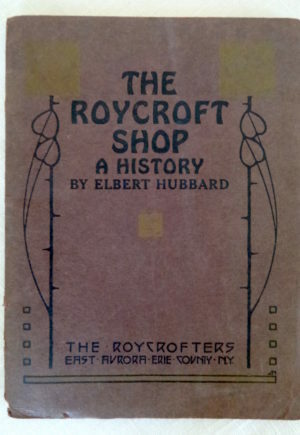 One of a limited edition of 960, with Elbert Hubbard’s “signature” (these books were usually signed by other Roycrofters in his name). 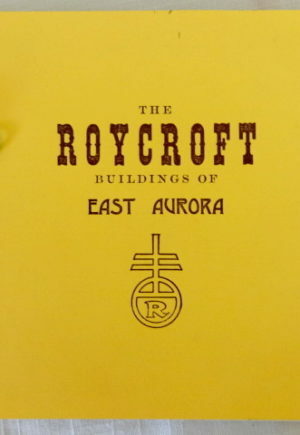 See the Spring 2015 Baum Bugle for more information on Denslow’s involvement with the Roycrofters. 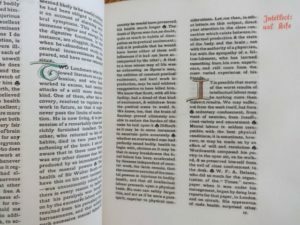 Bound in 3/4 suede, with Denslow’s Diamond “I” on the preface and his Lombardic initials throughout, hand embellished by one of the Roycrofter’s illuminators.